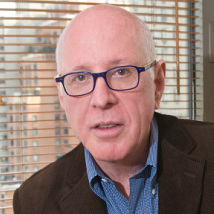 Stan Sherwood is an international tax lawyer and transfer pricing advisor. Until January 2000, he was an International Tax Partner at PricewaterhouseCoopers (PwC) in New York. He is listed in Euromoney's Guide to the World's Leading Transfer Pricing Advisors and in Euromoney's Guide to the World's Leading Tax Advisors. In addition to being a member of the Bar in New York, Mr. Sherwood is also a Certified Public Accountant. Mr. Sherwood provides international tax, financial business and consulting services to global companies on cross-border transactions including: mergers and acquisitions; structuring and restructuring of international affiliates; integration of acquired companies; capitalization and financing; transfer pricing planning and documentation; structuring offshore trading companies and investment funds; foreign investment in the United States, including real estate; foreign country tax reduction and business strategies; tax treaty planning; intellectual property transfers; joint ventures; and many other matters involving U.S. and foreign country tax and corporate law. He has exposure to numerous industries and to senior management of a large number of companies throughout the world ranging from major multinational companies to emerging international companies (including E-commerce). He has been involved with many matters involving transfer pricing in the context of state and local taxation, including intangible holding companies and other special purpose entities. Since 2000 he has been the advisor to several of the world's leading luxury and fashion brands and to sport and lifestyle brands... both large and small. In addition, his experience spans many other industries. His is part of the founding faculty in the Fashion Law Institute at Fordham University Law School in New York, where he teaches the course "Creating a Global Company: Business, Legal Financial Considerations." In this course he demonstrates how to take a small fashion start-up company and expand it into a global enterprise. As a boutique firm, SA has numerous associations with highly experienced tax, legal and accounting professionals. Since U.S. tax law is complex, it is rare to find the knowledge and experience of all areas of tax practice in a single individual. On the other hand, with years of experience, SA has worked with professionals in all the areas of practice in which SA advises clients. As the need arises, SA calls upon the talents of specific individuals who possess the relevant skills and experience. Internationally, SA has established relationships with numerous law and accounting firms and other consultants in most major countries. These relationships range from small to large professional service firms and are used to the extent appropriate in advising clients on their global tax and corporate legal structures.